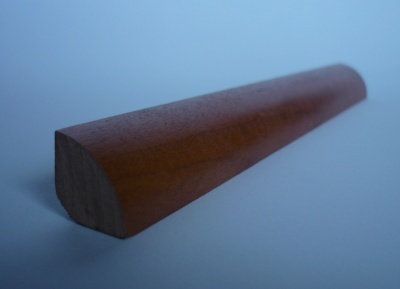 Quadrant hardwood moulding is used to conceal expansions gaps and internal corner gaps after a wooden floor has been fitted. This solid wood quadrant is available in a variety of wood types and will ensure a tidy finish to your wooden floor project. Quadrant price shown is for 1 x 2.44m length.